Since 1865, the red shield of the Salvation Army has been a symbol of hope and refuge for those in need of spiritual, economic, emotional, and physical support. Over 150 years later, the organization has grown into a global institution, helping approximately 25 million Americans each year. Scherer is proud to help our community feel the effects of this incredible organization in our own backyard through the construction of a new Adult Rehabilitation Center (ARC). Through the Salvation Army’s ARC program, over 150,000 people have been supported, educated, and cared for through life-crippling addictions. Living, treatment, and daily expenses are paid for by the organization, with the support of local contributions. 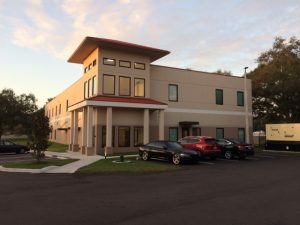 Scherer Construction recently completed the Salvation Army’s 6th ARC building in Florida, located in Tampa. Scherer has worked closely with The Salvation Army since 1992, completing over 50 projects in Florida, Texas, and Ohio. Our strong, long-term partnership with the organization is built on the same service, timeliness, and quality that we provide to all of our clients. Scherer’s Design/Build services offer all of the construction expertise that our partners require, eliminating the need for additional architects, contractors, and other personnel. 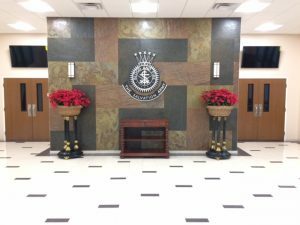 The ability for their team to fully design, plan, and execute this project was an important benefit for this client, and many others that the construction company has served. This project was designed by Scherer’s in-house architect, Richard Henzel, and managed by Scherer President, James A. Crookston. Scherer Construction hopes to continue helping The Salvation Army with their mission through future projects. You can learn more about The Salvation Army’s ARC program when you visit their website. Our partnership with The Salvation Army is just one of Scherer’s rewarding professional relationships, maintained through personal, transparent service and high quality construction. Browse more projects from Scherer Construction when you visit us online.